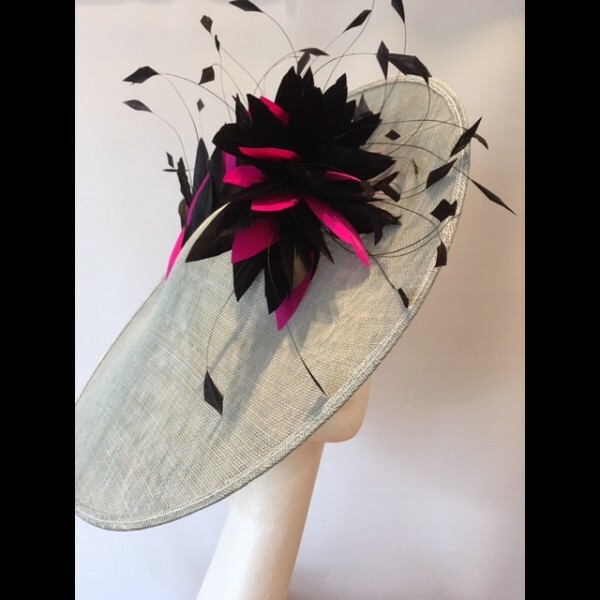 Striking combination of colours in this large saucer shaped headpiece. Gorgeous & Glorious Baby Blue/Silver Metallic Saucer Headpiece with Dark Navy & Hot Pink. A large saucer shaped headpiece, the base is made from a blend of baby blue and silver metallic sinamays giving it a pearly sheen. Mounted on a toning silk wrapped hairband with a comb . 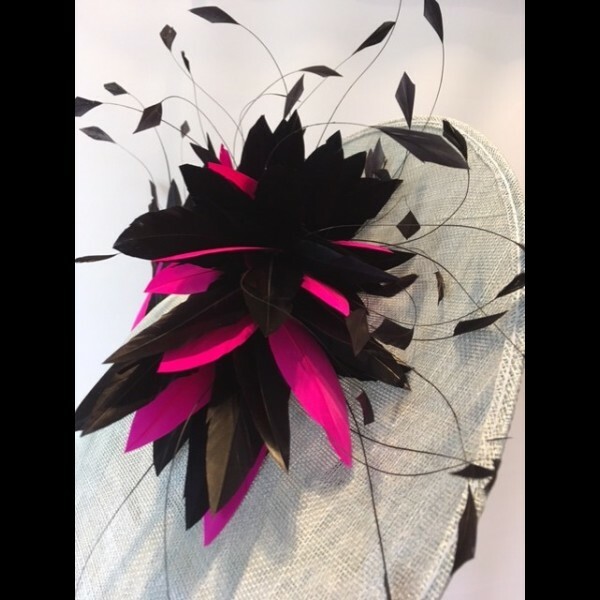 The upper side has a crescent of dark navy feathers with accents of hot pink. This headpiece is available for hire.